The Youth America Grand Prix was formed in 2000 as a non-profit educational organization in order to support and develop world-class dancers from the ages 9 to 19, of all backgrounds and styles of leotards. YAGP aims to provide educational opportunities and scholarships to the world’s leading dance schools for young dancers as a global network of resources and opportunities which connect students, teachers, schools and dance companies. YAGP has been known to provide students with top-quality education and training from the directors and faculties of some of the world’s foremost companies, such as Alvin Ailey American Dance Theater, American Ballet Theatre, New York City Ballet and Paris Opera Ballet. As a result, YAGP refers to itself as the “internet of the dance world”, working to maintain and extend the dance network of the United States, and provide a multitude of prospects for the next generation of dancers, encouraging more to pull on their practice tights and engage with ballet. Each year, YAGP conducts 12 regional semi-finals competitions throughout the US, and an additional 4 international competitions in Brazil, Mexico, France and Japan. Each season culminates in a week-long ‘New York City Finals’, where only around 500 of the 5000 hopefuls will compete for scholarships and professional job contracts offered. The dancers are renowned for representing 30 different countries on 5 continents, emphasising the sheer expanse of YAGP in the dance world, and just how prestigious the organisation has become since its inception. First Position is a documentary film which focuses on seven young, international dance students preparing for the competition, working to showcase the exceptional talents of the dancers rather than focusing on the controversy of ballet competitions and the pressure they create for young people. Director Bess Kargman was inspired to create something that challenged the stereotypes of ballet and highlighted the sheer social and economic diversity of the industry. 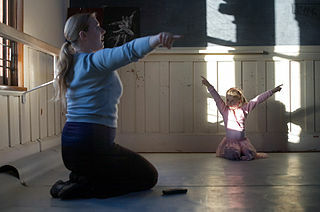 In choosing the candidates, Kargman felt it was imperative to feature students who would hold audiences’ attentions regardless of their performances throughout the competition, and – for example – the sacrifices made to facilitate ballet training such as parents making tutus and other costumes in order to save as much money as possible. It is clear that the YAGP is one of the largest, most celebrated and influential dance competitions, presenting young dancers and their pointe shoes with the potential to truly succeed, with a fantastic opportunity in their first steps towards achieving their dance dreams. Image courtesy of Youth America Grand Prix. 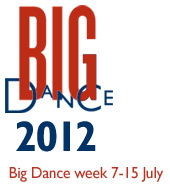 Big Dance 2012 aims to be the UK’s biggest celebration of dance, led by the Greater London Authority, Arts Council England and Foundation for Community Dance. The programme is part of the London 2012 Festival, which is the culmination of the Cultural Olympiad, championing dance throughout the country. Big Dance is delivered by a network of Big Dance Hubs, which are leading dance organisations around the UK, delivering dance to those areas. Whether it is ballet, modern dance, lindy hop, or bharata natyam, Big Dance is sure to provide it, regardless of the extent of your dance ability or dance clothing collection! In previous years, Big Dance incorporated the Big World Dance, which aimed to encourage people from across London to take part in a mass participation performance that took their dancing shoes from the Southbank Centre to Trafalgar Square for a grand finale which was received by thousands of audience members. Luca Silvestrini of Protein Dance created five pieces of choreography inspired by the five continents which corresponded to an area of London, teaching these to people across the capital. Around 2,500 people registered to take part, with more participants turning up on the day to join workshops at the Southbank Centre, complete with live footage on huge screens. The Big Dance Schools Pledge, led by Coopers Company and Coborn School, was also a great success. The project encouraged schools to don their dancewear and sign up to complete 20 minutes of extra dance a day to take part in a World Record attempt for the largest dance class in multiple venues. Hakeem Onibudo of Impact Dance created choreography on four different levels to music specially commissioned for the Schools Pledge, of which over 600 schools nationwide with 150,000 students signed up for the pledge. A half hour dance class was completed, culminating with a performance of the Level 1 choreography, emphasising the sheer impact of the power of dance, in bringing people together for one significant cause. Prima Ballerina Darcey Bussell CBE is due to join BBC One’s Strictly Come Dancing judging panel when it returns in autumn 2012. Having seen her take off her tutu for the last time following her farewell performance from The Royal Ballet in 2007, she will leave her pointe shoes behind in the move to Strictly… swapping them possibly for New Yorkers! Darcey may be regarded as one of the most famous and accomplished ballerinas of Great Britain, performing as a guest artist with leading international ballet companies, such as the New York City Ballet, alongside her Royal career. Darcey has previously appeared as a guest judge on Strictly in 2009, during which she performed a jive with Strictly professional Ian Waite, demonstrating her inspirational capacity to engage with the wider dance and commercial sector aside from classical ballet. It can be supposed the Darcey’s influence on the judging panel will be one of great force and strength, capturing the nation’s hearts as she does so well, emphasising the virtuosic nature of dance and applying this to the lines of the Strictly characteristics. Her poise and glamour will add to an already sparkling aspect of the television dance scene, with Darcey continuing her central role in the development of quality dance and entertainment. The expanse of dance on television is overwhelming; it indicates that dance will continue to spread its influence in this way and gain more and more recognition in all sectors, encouraging more people to don their dance tights and snap up extravagant new leotards. Darcey has the experience and “qualifications” to do this, and constructively critique the participants in a meaningful and insightful way for audiences, in her charismatic and charming manner. Darcey Bussell will be joining the panel to sit alongside head judge Len Goodman, Craig Revel Horwood and Bruno Tonioli, viewed as a fantastic addition to the Strictly team. International Dance Day was founded by the Dance Committee of the International Theatre Institute in 1982, and has been celebrated every year in Paris on April 29th, which is the anniversary of Jean-Georges Noverre (1727-1810) who is deemed as the creator of modern ballet. The dance sector is constantly evolving, with International dance Day seemingly drawing attention to the magic of dance, and highlighting this throughout the world. Every year a message from an outstanding choreographer or dancer is circulated internationally, known as the “International Dance Day Message”, inspiring dancers and dance fans alike to re-love their dance, be it wearing their ballet tights, tap shoes or jazz leotard. The professional is selected by the International Dance Committee of the International Theatre Institute, which collaborates with the World Dance Alliance. The message aims to celebrate dance as a common language between all people across political, cultural and ethnic barriers in the universality of the art form, emphasising its accessibility. Among many others, prestigious dance figures such as Merce Cunningham, William Forsythe, Maurice Béjart, Akram Khan and Anne Teresa De Keersmaeker have delivered the message and/or participated in the celebration of International Dance Day at UNESCO, Paris. This year (the 30th anniversary of International Dance Day) the message was delivered from Paris by the Flemish/Moroccan choreographer and founder of the Antwerp based Eastman dance company, Sidi Larbi Cherkaoui. You can read the full message here: 2012 International Dance Day Message. The International Dance Council, an umbrella organisation within UNESCO is also active in the support of dance and promotes Dance Day through the voice of its president Professor Alkris Raftis who also delivers a message himself every year. The Council considers that while dance has been an integral part of human culture throughout its history, it is under-prioritised by official establishments in the world, and the influence of dance should be shared throughout the world. Through the instatement of International Dance Day, it seems that the global message of dance can continue to be transmitted and enjoyed by everyone, encouraging them to grab their jazz trainers and engage with more people. What will you be doing on Sunday? The International Dance Festival Birmingham is due to run from April 23rd until May 19th, bringing an outstanding line-up of hit shows to the Midlands, such as Sylvie Guillem and Russell Maliphant’s Push, combining elements of ballet, contemporary, capoeira, t’ai chi and yoga; a solo for Louise LeCavalier named Children & A Few Minutes Of Lock created by Nigel Charnock; and the premiere of new work The Impending Storm, featuring dance virtuoso David Toole. The month-long dance programme is now in its third edition as a major biennial festival produced by DanceXchange and Birmingham Hippodrome, programmed across theatres, streets and public places, creating a wealth of participatory activity for people of all ages by animating the city of Birmingham and the West Midlands, encouraging them to pull on their dancewear and get involved. The IDFB is one of the largest dance festivals in the world, and is unique in its diversity and internationalism through its programming of exceptional dance from across the globe, and hosting collaborations with international choreographers and artists. The IDFB is set to include additionally engaging features such as the pointe shoes of The Royal Ballet of Flanders (performing Artifact), a screening of the jazz shoe classic West Side Story and the exotic Danza Contemporanea de Cuba from Dance Consortium. Added to the mix is the transferral of urban hoodie-wearing Breakin’ Convention from London to the Midlands, the international festival of hip-hop dance theatre within the IDFB. The IDFB aims to bring an outstanding quality of work and worldwide attention to the numerous arts organisations and venues in the Midlands and the incredible dance scene which resides there through many partnerships and collaborations. Building on the successes of previous years, the IDFB 2012 aims to be even more distinctive than before, attracting more visitors from across the UK and beyond, consequently benefitting the local economy. With a strong international focus, the IDFB will celebrate artistic excellence, promote artistic exchange and express the youthful, diverse and energetic spirit of dance in the Midlands. IDFB 2012 image courtesy of IFDB. Sylvie Guillem & Russell Maliphant image courtesy of Wikimedia Commons. 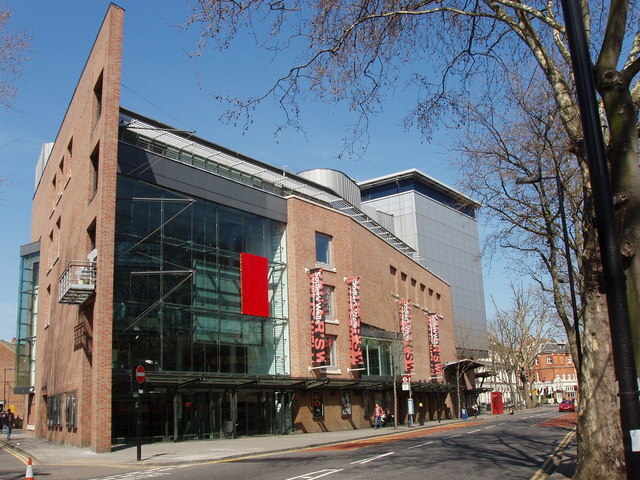 Sadler’s Wells is due to host the Royal Ballet of Flanders with Artifact, nearly thirty years after its premiere. American choreographer William Forsythe has created this subversive new-dance masterpiece, which is due to run at Sadler’s Wells until April 21st. 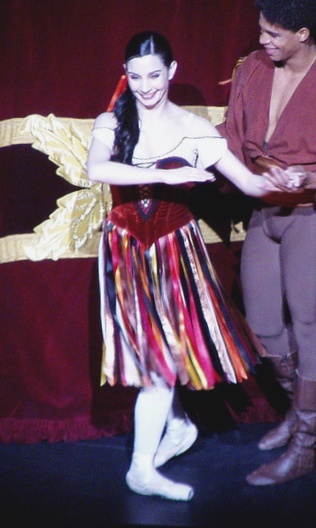 As a 2009 Olivier award winner, the Royal Ballet of Flanders has been performing and touring worldwide for over four decades, renowned for their flawless technique and unconventional productions. The company specialises in classical ballet, neoclassical ballet and contemporary ballet and has done since its inception in 1969. Recently, the company has raised its international profile by adding more contemporary works to its repertoire. Set to the music of Bach, Artifact was the first ballet that Forsythe created after becoming director of the Frankfurt Ballet 1984, and Artifact has since been described as “a masterpiece”. Forsythe is widely regarded as the most influential practitioner of the art form since Balanchine, creating works which questions the classical aesthetic of ballet and develops it further. As a ballet in four parts, Artifact features the choreography, scenography, lighting, and costumes of Forsythe, completely conveying his choreographic practices. Sporting warm yellow unitards, the dancers display impeccable classical technique, mixing pointe shoes with the bare foot. Artifact is famous for the way it subverts the traditional physical principles of ballet, and for the ways it plays with audiences’ ideas about the forms ballet can take on. There is not a tutu to be found within Artifact, despite being performed by the only professional classically trained dance company in Flanders, engaging audiences and critics alike from Shanghai to Houston. Within the upcoming season, the company is due to tour to some of the most international ballet capitals of the world, spreading their influence… and airing their leg warmers! Whilst straightforward lessons are in no shape of form headed for the archives, dance and drama workshops for children and young people are gaining more and more popularity. At a glance, prestigious companies and organisations such as Rambert Dance Company, Tap Attack and West End Kids are offering their expertise to young, aspiring individuals who are willing to give up their free time in order to receive a worthwhile result. In the mix of leotards and “New Yorkers“, those engaging with the workshop may not ever dust off their pointe shoes and become The Dying Swan, but some may indeed embrace the new leg warmers of their dance life and take on an entirely new path. Whilst taking part in workshops focus on the fun and enthusiasm the work creates, overall they provide much more. As a workshop leader, being able to noticeably nurture a young person’s desire to perform on stage, or focus their energy into raw talent is immensely worthwhile. Earlier this month in the Guardian online, the Associate Director of Creative Learning at the London Bubble Theatre Company wrote about The Speech Bubbles programme which encourages young children with speaking, listening or communication needs to overcome these barriers with phenomenal results. This may not be the case for all the children who take part on the programme, but to see a small improvement in areas such as emotion, conduct and behaviour is very encouraging to the workshop leaders. To observe numerous workshops taking place that provide a multitude of resources for young people is extremely heartening; arts organisations, through various sources of funding, are able to support the next generation of artists and continue their line of work through what the leaders offer. Workshops in the art sector are not difficult to come by, with a whole host of successful organisations managing their time in order to provide.